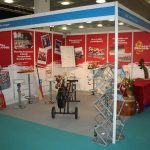 Our experience at the Event Production Show! 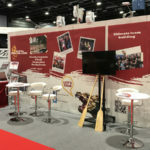 Race the Dragon had our first experience at the Event Production Show this February, it was such a worthwhile and amazing event, one of the reasons we originally decided to feature at EPS was to showcase our corporate targeted event, EIDBC, involving a range of things such as dragon boat races, land games and a BBQ. 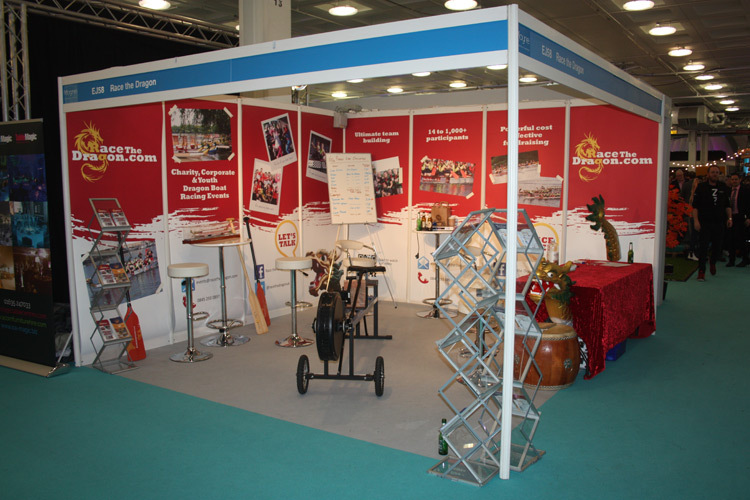 We also decided to exhibit to expand our customer database, which we accomplished over the two days of being there. While we were at the event, we thought of a way to draw the people in and make it more interesting! We added an Ergo, which is a paddling machine and oh my did it make it interesting, the challenge was to paddle as many meters as you could in 60 seconds, most thought this would be easy, until they tried it. Exhausting was an understatement as everyone who attempted would put 110% into it, until it got to about 40 seconds, then the work really started, they had to summon up whatever energy they had to just beat the highest record of the day! Everyone around stopped to watch, even if they weren’t interested in Dragon Boat’s it was nice to have an audience to cheer people on. After the two days of competition we finally had our two winners that stood out! For the men with 234 meters (4 meters ahead of second place) was Mitch, from Haka works and for the women with 170 meters (11 meters more than second place) we have Abi from Loos 4 Do’s. 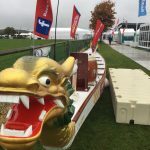 Overall, the team at Race the Dragon had a great couple of days, meeting so many new people with similar interests in Dragon Boating and so many who wanted to know more about the sport! People who had previously worked with us decided to come back for more, by adding themselves into our dragon boat festival events, which was appreciated. We even had an amazing group of people who asked about Race the Dragon doing a show for them, involving opera singing and a personalised drum beat! The True Value of Team Building! Welcome to the home of Race the Dragon Ltd, the heart and soul of dragon boat racing in the UK. 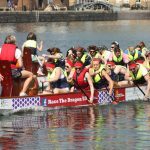 We specialise in providing charity, corporate and youth dragon boat racing events nationwide in the UK.